Accessible materials create access to documents and materials so that they are usable by all students in your class. Most of these changes have the dual benefit of simultaneously helping students with specific accommodations, while also improving the experience for the other users in your class. The following is a guide for creating materials with these types of considerations in mind. In this guide, we include both general guidelines as well as specific steps to follow for specific tools and materials. This guide from Auckland University gives a wonderful overview of these similar guidelines. 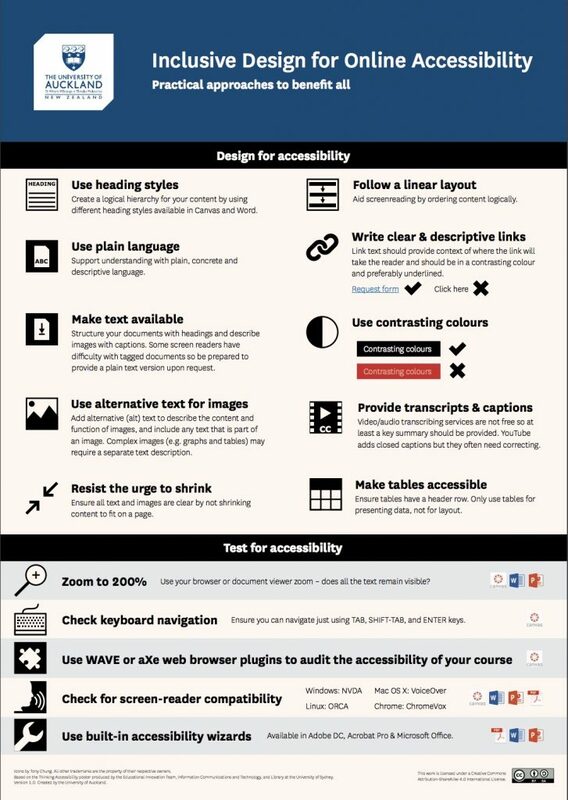 The University of Auckland describes how to create Inclusive Design for Online Accessibility. Here is a downloadable PDF. Updated March 12, 2018 - An earlier version of this guide was published in 2016. We updated the guide recently to include updates to the Canvas and documents sections. For Canvas, we added specific directions for accessibility features in Canvas (using the accessibility checker and UDOIT). We also posted a screencast video explaining how to use these tools. For documents, we included more extensive directions on creating accessible document and converting them with SensusAccess, a new document conversion tool at the College. 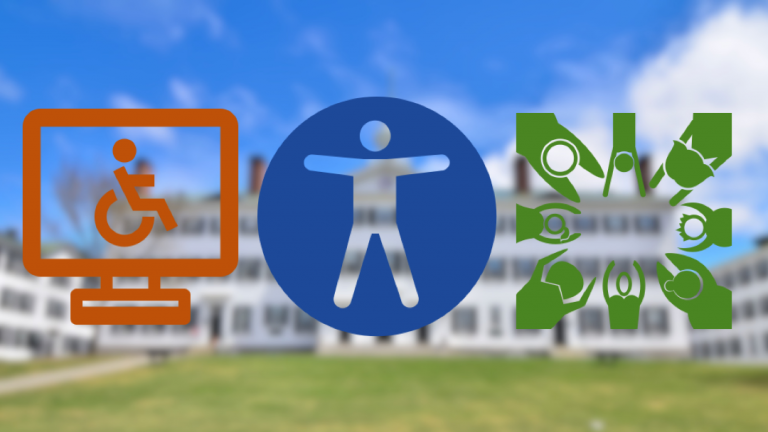 ...continue reading "Creating Accessible Materials"
At ELI 2017, Instructional Designers Erin DeSilva and Adam Nemeroff represented Team Access at Dartmouth College. Team Access is an inter-departmental group of staff from Classroom Technology, Educational Technology (Instructional Design), and Student Accessibility Services. Together, we work to improve access to learning experiences for all learners. The following is our poser we presented and the resources we frequently consult with through our work. 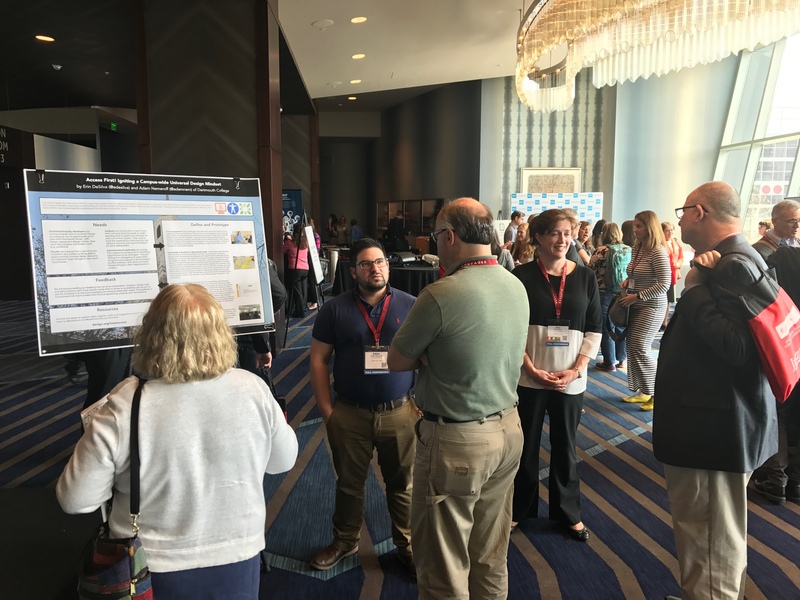 ...continue reading "Our Poster and Resources: Access First! Igniting a Campus-wide Universal Design Mindset"
This post is the first in a series of collaborations between Student Accessibility Services and EdTech where we will explore the role of Universal Design for Instruction (UDI) and its role in creating an inclusive classroom environment. In this first post, we will introduce UDI and its principles, frame definitions for each principle, and provide examples of the principles in use. UDI is a set of principles meant to address the needs of all learners. A classroom that adopts these principles seeks to not only support the needs of students requiring accommodations, but the needs of all learners to allow them to learn at their best. These principles, introduced by Scott, McGuire, and Shaw (2001), are increasingly being embraced by educators across the nation. ...continue reading "Creating Inclusive Courses with Universal Design"